Hemp Politics - Will Colorado continue its hemp leadership stature? Hemp Politics – Will Colorado continue its hemp leadership stature? In U.S. Hemp Politics, Colorado has been the pioneer state for hemp legalisation, and advocates would like this national leadership to continue. Colorado’s hemp industry is flourishing. Colorado grows, processes and sells more hemp than any other state in the U.S. There are hundreds of registered hemp growers in Colorado, and they’re growing thousands of acres of hemp. The industry has boosted employment and rejuvenated many small farms. 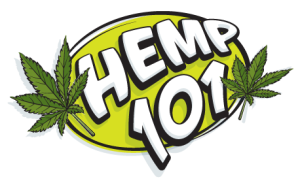 In short, hemp has been an enormous success across the state. Since 2012, when Colorado state residents voted in favour of hemp legalisation, the state has been at the forefront of U.S. hemp politics. Now, to keep its leadership stature, Colorado needs its residents to vote Yes on Amendment X.